Many people don’t consider the myriad scenarios for commercial water use. From grocery stores, to laundromats, food service, hospitality, healthcare, and so much more, water is essential to building and maintaining a successful business. You need a water source you can count on — one that will help you provide your customers with the very best care and service available. While you’re focused on growing your business, let us help keep the flow for all your water needs. There’s no cookie-cutter business model, so we don’t offer one-size-fits-all solutions. Instead, our highly-skilled and experienced professionals work with you to find the best options to fit your budget and needs. Providing unique and cost-effective ideas tailored to your individual business, we’ll help you save time and money, while impressing your customers and generating new leads. In business, time is money. That’s why we stand by our products that use the latest technology to get the job done right the first time. Offering efficient, easy-to-use, energy-conscious products and materials, we have a solution to suit nearly every business need. Designed for car wash/detailing businesses and those professionals who require dependable access to high-purity water, this equipment delivers crystal-clear, spot-free clean. De-ionized water is free from mineral ions such as cations from sodium, calcium, iron, and copper, as well as anions such as chloride and bromide. The result is high-purity, distilled water that’s safe for all surfaces. Best of all, the process is quick and free from scale buildup. Designed for use in laboratories and businesses that require consistent access to top-quality, high-purity water, mixed-bed de-ionizers use two regenerative ion exchange resins that are formed into the shape of beads. Using hydrogen and hydroxyl ions, these beads (cation and anion) mix together to remove nearly 100 percent of water impurities. The resulting water is free from cations (sodium, calcium, iron, and copper) and anions (chloride and bromide) — providing a high-purity output that’s safe for use on surfaces and in containers. 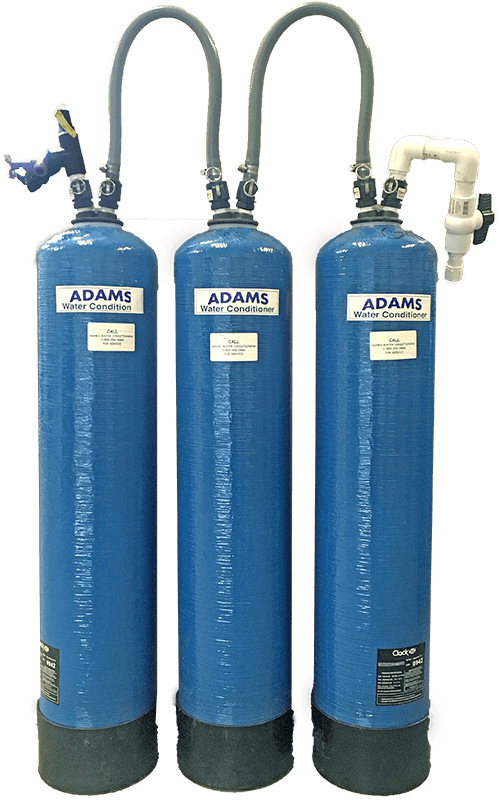 Don’t settle for water treatment systems that don’t match your goals. Stop paying for features and functions you don’t use and don’t want. Our customizable systems can be tailored to your unique needs. Contact us today to decide which system is best for your business.